Be your own best doctor! "Social Security" & "Medical Appoints"
THIS report is a MUST to take to your "Medical Appoints"
and to add to your file for applying for "Social Security"
as it validate that "ADHESIONS"
eitiology (cause) of chronic adominal/pelvic pain! BACKGROUND: Intra-abdominal adhesions constitute between 49% and 74% of the causes of small bowel obstruction. Traditionally, laparotomy and open adhesiolysis have been the treatment for patients who have failed conservative measures or when clinical and physiologic derangements suggest toxemia and/or ischemia. With the increased popularity of laparoscopy, recent promising reports indicate the feasibility and potential superiority of the minimally invasive approach to the adhesion-encased abdomen. METHODS: The purpose of this study was to assess the outcome of laparoscopic adhesiolysis and to provide technical tips that help in the success of this technique. RESULTS: The most important predictive factor of adhesion formation is a history of previous abdominal surgery ranging from 67%-93% in the literature. Conversely, 31% of scars from previous surgery have been free of adhesions, whereas up to 10% of patients without any prior surgical scars will have spontaneous adhesions of the bowel or omentum. Most intestinal obstructions follow open lower abdominopelvic surgeries such as colectomy, appendectomy, and hysterectomy. The most common complications associated with adhesions are small bowel obstruction (SBO) and chronic pain syndrome. The treatment of uncomplicated SBO is generally conservative, especially with incomplete obstruction and the absence of systemic toxemia, ischemia, or strangulation. When conservative treatment fails, surgical options include conventional open or minimally invasive approaches; the latter have become increasing more popular for lysis of adhesions and the treatment of SBO. Generally, 63% of the length of a laparotomy incision is involved in adhesion formation to the abdominal wall. Furthermore, the incidence of ventral hernia after a laparotomy ranges between 11% and 20% versus the 0.02%-2.4% incidence of port site herniation. Additional benefits of the minimally invasive approaches include a decreased incidence of wound infection and postoperative pneumonia and a more rapid return of bowel function resulting in a shorter hospital stay. In long-term follow up, the success rate of laparoscopic lysis of adhesions remains between 46% and 87%. Operative times for laparoscopy range from 58 to 108 minutes; conversion rates range from 6.7% to 43%; and the incidence of intraoperative enterotomy ranges from 3% to 17.6%. The length of hospitalization is 4-6 days in most series. CONCLUSIONS: Laparoscopic lysis of adhesions seems to be safe in the hands of well-trained laparoscopic surgeons. This technique should be mastered by the advanced laparoscopic surgeon not only for its usefulness in the pathologies discussed here but also for adhesions commonly encountered during other laparoscopic procedures. may be freely distributed and copied. However, it is requested that in any subsequent use of this work, NLM be given appropriate acknowledgment. 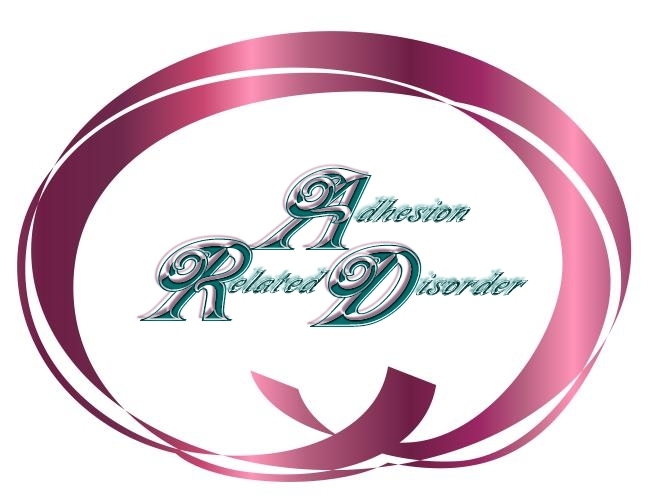 Is “Adhesion Related Disorder” A Chronic Disease? A condition of being sick from a particular cause. Different plants and animals often suffer from certain diseases. Some animals are known to carry diseases that effect other organisms. For example, a beetle carries a fungus which causes Dutch Elm Disease in elm trees. stress condition produced by the effects of a pathogen on a susceptible host. Any condition that prevents the body from working as it should other that direct injury. A condition of an organism that impairs normal physiological function. Also see Infectious Disease. A deleterious change in the body's condition in response to destabilizing factors, such as nutrition, chemicals, or biological agents. Diseases may be caused by microorganisms or by environmental factors such as a lack of available iron in the soil or excess water. A condition of the body in which there is incorrect function due to heredity, infection, diet, or environment. a pathological condition that is cross-culturally defined and recognized. a condition, caused by living organisms or environmental changes, that impairs the normal functions of a living organism. a medically definable process, in terms of pathophysiology and pathology. Illness is what the patient experiences. Presence of some pathology or abnormality in a part of the body. Bacteria and viruses cause many such diseases Tolerance – In pharmacology, the ability to tolerate larger and larger doses of a drug after each exposure to it. Disorder or pathology that affects health. Any departure from health; a particular destructive process in an organ or organism with a specific cause and symptoms. Sickness, illness or loss of health.